LEWISTON, Idaho - August 15, 2018 - Speer Ammunition is pleased to announce its new 10mm Auto 200-grain load. 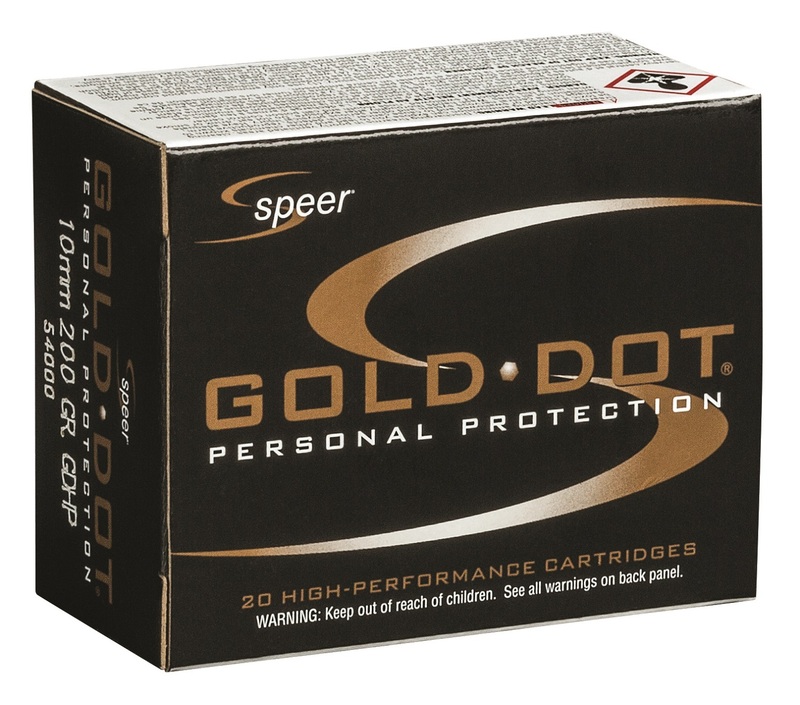 Speer Gold Dot ammunition’s reliability has made it the No. 1 choice for law enforcement. The brand offers the same performance for self-defense with the addition of a powerful 10mm Auto load that takes advantage of the cartridge’s capability. Shipments of this ammunition are being delivered to dealers now. While most 10mm Auto offerings produce ballistics similar to those of 40 S&W, Gold Dot’s 200-grain bullet is loaded for optimal performance from the cartridge. 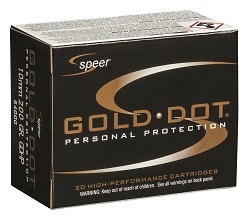 Like all Gold Dot loads, its bullet is built using Speer’s exclusive Uni-Cor method. The jacket is bonded to the core one molecule at a time, virtually eliminating core-jacket separation and creating a precision hollow point that is accurate, tough and unbelievably consistent through all common barriers.